The path from visitor to lead to customer is the most important focus for any inbound marketer. 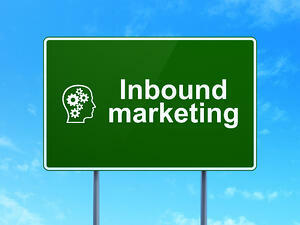 Understanding this path and tailoring it towards your prospective leads is how inbound marketing works. Luckily, inbound marketers have developed a fancy diagram called the “Inbound Marketing Funnel” to help simplify the process. This funnel breaks this process down into three sections: Top of the Funnel (TOFU), Middle of the Funnel (MOFU) and Bottom of the Funnel (BOFU). In this blog post we will dive head first into the marketing funnel to get a better understanding of each section and how we can leverage it to convert leads. The very top of the funnel is where you attract visitors to your website. Like a road sign that directs a traveler to the location of a hotel, you are providing the necessary content to attract visitors to your website and show them you have what they are looking for. These tools work to attract potential leads to your site. Let's say your business provides construction companies with rain gear for their employees. Because of the great SEO research you did, the keywords you included on your site pages and blog posts put your company in the spotlight when a nearby company searched for sturdy, waterproof outerwear in bulk. Your website popped up on the first page of their search engine results; they clicked on your link and were instantly brought to your very attractive and easily navigable website. If this is the case then consider your work thus far a job well done, but let's not get ahead of ourselves. At this stage it's super important to make sure that the content you're publishing on your site, the blogs you are posting regularly and your up-to-date social media efforts are all reflecting the fantastic brand that you are, while educating and engaging readers. Top of the funnel efforts act to help establish someone’s interest in your brand; the next stage focuses on converting their interest into a lead. The middle of the funnel focuses on establishing your brand's importance and value. Every visitor to your website is not considered a lead, instead a lead is a particular visitor who through their interactions with your content, are seen as a strong candidate to close a sale with. Now the person in charge of the raingear purchase at the construction company is aware of your product, but what is it about your brand that makes you unique from the competition? This part of the funnel is where you begin giving your business value by enticing the visitor to pursue your content. CTAs are the first step and offer a pathway to your premium content, such as whitepaper downloads, eBooks or webinars. CTAs can be shared on your blog and social media pages or sent out via a newsletter. Once that CTA is clicked the visitor will then be directed to a landing page where they can enter their contact information and download your offer. And voila; you have a lead! This information is essential to the beginning stages of the nurturing and conversion process. The bottom of your funnel is a crucial stage in nurturing. At this point, you have a way to contact your leads which allow your selling strategies to really begin. The content you deliver here is meant to nurture, educate and establish yourself as a thought leader in your field. The goal is to show your lead what your brand can provide them. This is where the alignment of marketing and sales comes into play. At this point you are close to converting a lead to a customer and it's more important than ever to stay focused on the content you are delivering. Each email you send or content offer you provide is a chance to increase the value of your brand to a lead. Not only does your lead know quite a bit about you but you know quite a bit about your lead. You know what content they have downloaded, what links they have clicked on, their contact information, and most importantly you know they are interested in your brand. With this information, you can begin to provide your lead with relevant content and offers. And what happens next? You make a sale! But your relationship is not over. There is still one extremely important part of the funnel that should never be neglected. Congratulations on your new customer, but the inbound marketing funnel is not complete! The main point of inbound marketing is that you are providing content about your product or service to a community of people that align with your brand. This brand association should continue long after the closing stage. Consider sending your customer a thank you letter, offering them a discount on their next purchase or checking in to get some feedback. Repeat sales are easier to make than new sales; not to mention, there is always a chance that a delighted customer will turn into a brand ambassador and push more leads to your site. Continue delighting your customers to finish out the inbound marketing funnel and you will surely be on the track to success.